Our picks for films that celebrate the world of wine, from sip to story. Wine and film share a profound link: the ability of a single sip or scene to whisk your senses away to a wholly different time and place. 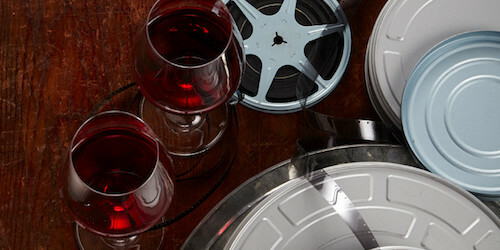 Below are our picks for the movies that best celebrate the world of wine. In 1943, the German army occupies the Italian hillside town of Santa Vittoria. The troops want to confiscate the region’s prized wine, but the wily, oft-inebriated mayor (Anthony Quinn) and townspeople hide one million bottles in a cave. Instead of vineyards, the setting is the Scottish Highlands for this caper, in which a prim young woman uncovers the most expensive bottle of wine in the world. Can she and her boorish bodyguard fend off thieves and the temptations of unlikely love? “My family has a vineyard in Napa,” a beautiful, unmarried—and pregnant—woman tells a soldier (Keanu Reeves) returning home from World War II. He offers to pose as her husband, but soon falls in love with her, except her tyrannical father blocks their happiness. “Its flavors… they’re just the most haunting and brilliant and thrilling and subtle and ancient on the planet.” That’s how Miles (Paul Giamatti) describes Pinot Noir in this on-the-road ode to life, friendship and uncorking the perfect bottle, filmed in Santa Barbara County. Channeling rom-com aplomb, Russell Crowe plays a cutthroat investment banker who inherits his uncle’s chateau in Provence. The lush, tranquil vineyards do not pair with his hard-driving life—or must he change his life to save it? An alluring café owner (Marion Cotillard) adds amour. Oozing connoisseurship and comedic timing, Alan Rickman portrays Stephen Spurrier, English wine merchant who set up the Judgment of Paris, the famed 1976 blind tasting that pit American wines against France’s best. The film also chronicles a tumultuous father-son relationship that grows into trust. This is a tale of a 19th-century French peasant who longs to make great wine. In his quest, he’s inspired by his beautiful wife and a proud baroness, as well as Xas, a male angel who tempts with tantalizing secrets. A despotic vineyard owner in Saint-Émilion scorns his unassuming son, doubting his ability to take over the business. Instead, he favors his son’s charismatic childhood friend, and family tensions build (French with English subtitles). During nearly 40 years, only 220 professionals worldwide have passed the Master Sommelier exam, which is considered one of the crowning achievements of wine knowledge. This documentary follows four candidates as they swirl, sip and study for the test. Demand hugely exceeds supply for the Premiers Crus of Bordeaux. This lavish documentary looks at how China’s relentless pursuit of prestige bottlings affects these chateaus.